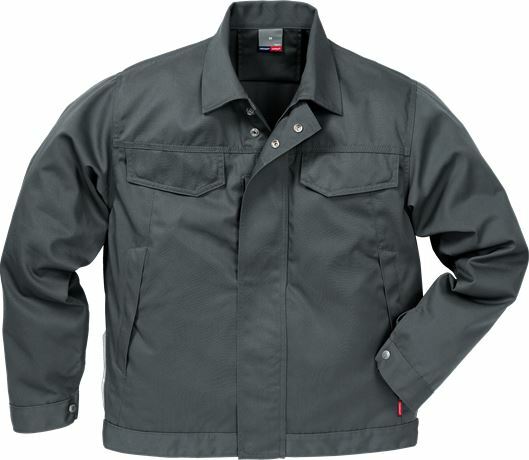 Jacket for industrial work in durable and comfortable 100% cotton material with button front. Approved for industrial laundry. 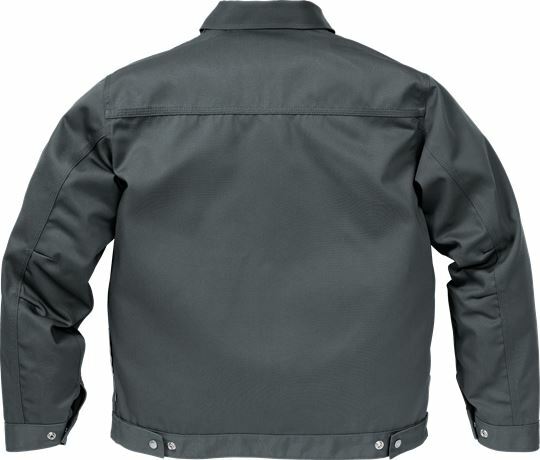 3-needle fell seams / Button front with storm flap / Neck flap for barcode or chip / 2 chest pockets with flap and inside pocket / Mobile phone pocket with zip and storm flap / Diagonal cut front with integrated side pockets and inside pocket / Inside pocket with button fastening / Pre-shaped elbows / Adjustable cuffs and waistband / Wide back with yoke / Reflective detailing in side seams / Contrast stitching / Leasing laundry-tested according to ISO 15797 / OEKO-TEX® certified.